I was being sarcastic. 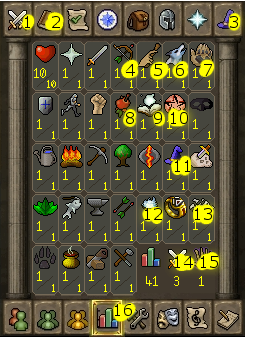 You seemed deadset to not have Shroud Runes, so I kept them. So does that mean you're removing them? I'm bad at sarcasm. Also, doesn't Burn damage deal damage based on actions (according to DT2)? The Fire Tome says otherwise. 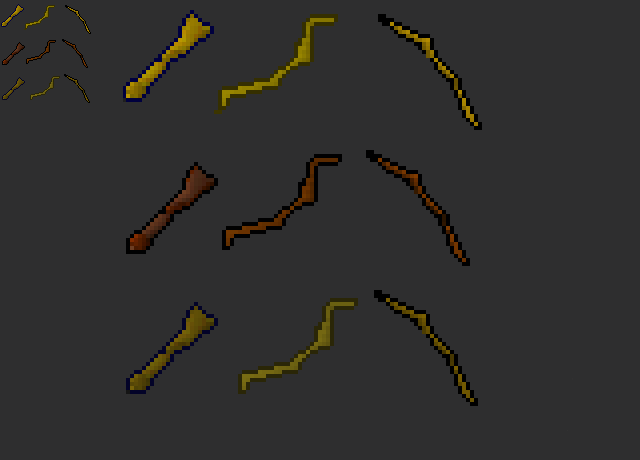 Should we add the new weapons for Ranged (crossbows and stuff)? I want my Green bow (Yggdrasil). No. 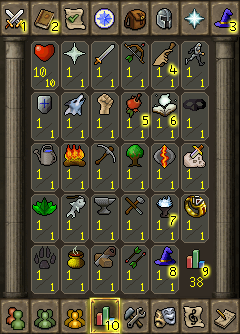 Ummm... basically, I don't plan to touch Runecraft again now unless I need to. I wrote some of those effects ages ago. Frankly, I forgot about DT2 whilst writing them. Haha, Ranged and Fletching. Yay. I hope it's him on that thread and not just someone stealing the glory. So you're intentially giving false infromation? How hard can recoloring some bows and compressing another table be? >So you're intentially giving false infromation? Okay, I'm no longer keeping up with this conversation. What the hell are you on about? You still can use Shroud runes for Conjuring, even though they are the 5th rune, which doesn't exist. EDIT: Wait, so now it's a Catalyic Rune. Well, I suppose that makes sense, but you just don't like me. That, and think of how expensive Shroud Runes will be. They have the same use as Soul Runes do in Shadow Spells, and they will have even more demand because they are used in 4 other Tomes! Haha, I don't not like you. Get to work on Ranged and Fletching. I want all the new bows and stuff. Waaaant to create something, weapons, armors, other stuff... ..... But I lost you way back... New bows?? Haha, I think/hope he means just the new wood for old bows. You'd be right! YOu just have to recolor existing crossbows and bows. Yggdrasil needs green interior. Chop chop! oh didnt notice the "green interior.."
Whilst I'm grateful, you used the wrong images. I hope I have the original somewhere. I need to get rid of the minimap. I can't remember, did we ever get all the forms? Also, remind me what Broodoo does? idk if we got the forms as actually images but the list is long enough to begin to make all the vessels and stuff..
Handeath wrote: Why aren't they GREEENNN! If bows: elm is green. Despite the logs being yellow, I didn't know yew was so yellow prior to taking the printscreen for the panel. I probably need to update some colours. Please do. I want my green L90 bows. By the way, there's a huge glitch in which when you click on "Conjuring" in Skills, you simply say "Hello, Aubury," before returning to the main screen.